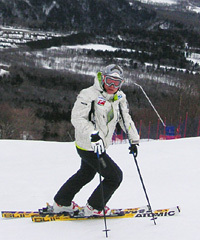 Greg spent over 18 years of his life coaching skiing. He coached racers all over the world, including Austria, US and Canada. His coaching experience covers it all, from junior racers, to working with the national teams, side by side with some of the best coaches in Europe and North America. He trained many outstanding racers who won medals at World Cup and World Championships. Perhaps more importantly, he also coached athletes who were perceived by others as the ones with no real potential in the sport, and at times was able to get them to produce some outstanding results. Greg wrote many articles in professional publications and most of the content in the COACHING section. 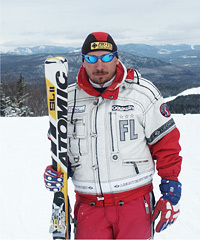 He currently works on a book «Alpine Skiing Through the Eyes of a Coach». 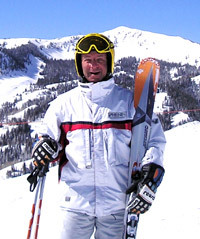 Stan Petrash has been skiing for over 20 years.Working as a freelance photojournalist, he contributes material to the PHOTO and FEATURES sections of this site. Most of the photographs and frame-by-frame sequences found on this website were taken by Stan.